With Manila temperature hitting up to 36 degrees Celsius, it's hard not to wish I were back in Phuket, enjoying quick dips in the pool with a glass of red wine within arm's reach; or, out on the beach with raggae music blasting from the nearby bar, and a bottle of Singha sitting quietly on our mat. 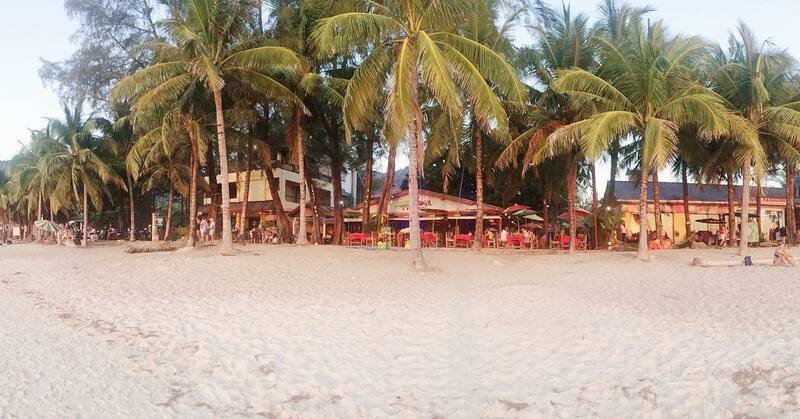 I swear, the latter reminded me of our very own beautiful Boracay, with bars lined up on the shore, fronting the beach. Phuket was pleasant, Thailand was pleasant. It was the perfect start to a summer of wonder and wanderlust. Our stay was hosted by a relative, in a beautiful home that sat atop the hill. The infinity pool overlooked a glorious view. And I swear, it must be called an infinity pool because you'll want to stay in it for infinity. LOL. But of course, I had to leave at some point and go exploring. We missed the evening bus we were supposed to take from Bangkok to Phuket, so we took the next one scheduled in the morning. This meant that we had lost a day in Phuket since the travel time was 12 hours (crazy, right?). If you will be taking the bus from Bangkok to Phuket, I suggest you do a quick Internet search on the schedules first. This will prevent you from losing a day of exploring! We spent about 587THB for the bus--not bad. Phuket has a lot of things to offer and 4 days there was definitely too short. From the mouthwatering food (hello green curry!) to the beautiful beaches, to the bustling nightlife at Patong Beach and nightmarkets, and of course, the intricately designed temples. You'll also see the occasional elephant walking the streets. So when we got to Phuket, we packed so much in the two full days that we had. We went to Wat Chalong or Chalong Temple and Big Buddha for our temple visits, fed some elephants, and fed ourselves... a lot. I wish I could give you a play-by-play of what happened, but I was too engrossed in everything that I barely took photos. I very much enjoyed watching Phuket's character unfold. If I had the chance, I would go back again and discover more of what's there. Have you been to Phuket? What was your favorite part of your trip?